If This is a Man by Primo Levi was first published in 1958 and I’ve been meaning to read it for years, but to be honest I’ve been avoiding anything like this that I thought might just be too grim a read. My mother was like many of her generation who were teenagers when the war began – obsessed by the war, obviously it was the biggest event in her life and she never really moved on from it. It’s no exaggeration to say that every conversation she had ended up back at the war somehow. I wasn’t told fairy tales as a youngster but was told of war atrocities instead! Honestly it’s surprising that I grew up so ‘normal’. Anyway, If This is a Man turned out to be not as harrowing a read as I thought it might be. This is mainly because as a chemist Primo Levi was regarded as being a useful prisoner. His expertise was needed to help with the manufacture of synthetic rubber for the German war effort. But before that could happen he and others had to build the factory within Auschwitz. Poor diet, freezing conditions and the heavy work involved whittled the men down over time and those who hadn’t been selected for instant departure through the crematorium chimneys often ended up there anyway. Eventually the Russian army broke through the German defences and the Nazis fled, taking 20,000 prisoners with them. Luckily Primo Levi was ill and in the hospital at that time so he was left behind. Most of the 20,000 prisoners disappeared as they died of exhaustion during a forced march away from the advancing Russian army. He was one of only three survivors from the original 650 prisoners who had been taken to Auschwitz from his area. 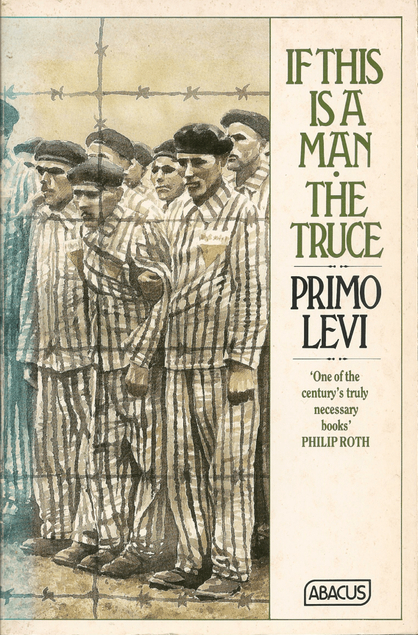 The Truce is a sequel which was written in 1963 and in it Primo Levi tells of what happened to him after the Russians reached Auschwitz. I had always hoped that any camp survivors would have been cossetted by the allies and their problems would have been over but of course, advancing allies didn’t have the wherewithal to deal with them. It wasn’t possible for prisoners just to make their own way home. Another long march was the upshot with the only real difference being that they actually got fed this time. Truce is interesting though as Levi met so many interesting characters amongst the other survivors. Another reason why I was put off from reading Primo Levi was that I had been under the impression that he had committed suicide in 1987 and that seemed unutterrably sad given what he had experienced, however it seems that many people believe that his death was an accident as he had been suffering from dizzy spells and he had lots of projects on the go at the time. I’ve never done this meme before but lots of the blogs that I enjoy frequenting have been doing it including Margaret at BooksPlease and I decided to join in. 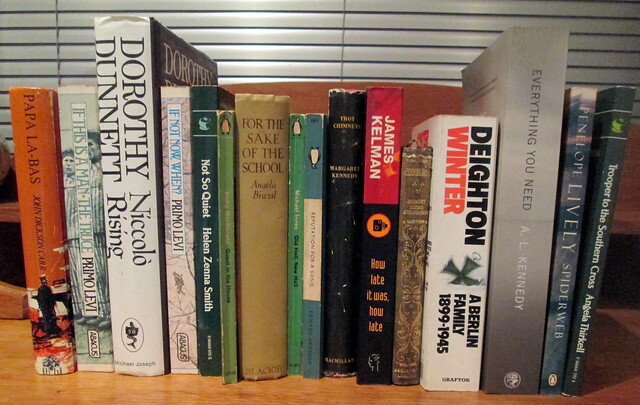 The idea is that you choose book titles from your TBR pile which begin with the letters of your blog name. So, here goes – sixteen of them. I intend to read them before the end of this year. Have you read any of these books and if so where should I begin?